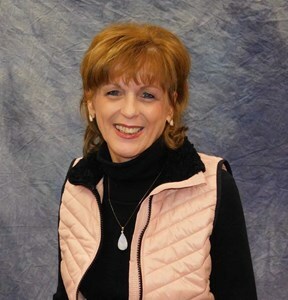 Elaine Atherton, 70, of Topeka, passed away on Friday, March 29, 2019 at Midland Hospice House in Topeka. Elaine was born October 10, 1948 in Junction City to Wenston and Florence Obermeyer. She graduated from Herington High School in 1966 and then pursued a career in cosmetology. Elaine worked for JC Penney’s, Jones Store Co. and Macy’s, among others. In 2004, Elaine left cosmetology and began working at Edward Jones where she retired in 2018. Elaine is survived by her husband; Chuck, of 48 years, a daughter; Erica (Rito) Valdivia, 3 grandchildren whom she loved and adored; Boston, Tyler, and Oakley, her brother; Wynn (Lisa) Obermeyer and two nieces; Courtney and Brandy. Elaine will lie in state and the family will receive friends from 6:00 - 8:00 p.m. on Tuesday, April 2, 2019 at Dove Southwest Chapel, 3700 SW Wanamaker Rd. A Celebration of Elaine’s Life will be held at 10:30 a.m. Wednesday, April 3, 2019 at Prince of Peace Lutheran Church. Cremation will follow the service and private inurnment will take place at a later date. Memorial Contributions may be made to Prince of Peace Lutheran Church, 3625 SW Wanamaker Rd., Topeka, Kansas 66614. Add your memories to the guest book of Elaine Atherton. Chuck Sorry to hear of your wife's passing your in my thoughts and prayers. I worked with Elaine at the Jones Store and she was one of the kindness person I had ever had the opportunity to meet. Heaven gained a beautiful angel. I grew up a few houses down from Elaine. She babysat my brother and me. We loved her and thought she was the best. I'm so sorry for your loss. I know she will be missed. My thoughts and prayers are with you. I was raised in Herington and knew Elaine through school. She was a year ahead of me but we were friends anyway, all through high school. My parents left town when I was in college so I didn’t get back much. I was lucky enough to run into Elaine just a few months ago while we were both out shopping. I am very glad we got to catch up some and she told me of her illness. I am very thankful I got to see her. My thoughts go out to all her family. Memories of Elaine are all so good and make me smile. She was a precious friend and I appreciated her humor, strength, faith, and loyalty! Even though I miss her already I know she has brought much joy to Heaven! I also know she will be keeping an eye on Chuck, Erica, Rito, and those precious grandchildren! I am so saddened to hear of Elain's passing. I remember her being kind and always cheerful. May God keep all of her family and friends in his loving arms and give them peace. Beth and I send our deepest sympathy for your loss. You are in our prayers, and thoughts. I had not met Elaine, but Chuck and I are good friends, and did business together for many years. I recently took a bad fall and may not make it to the service, but I will be there in spirit. God Bless you. I am so sorry to hear about Elaine. I went to school with her. She was a nice person and I would stop in at Penneys, Jones Store to say hello. Prayers for your family. As a cul-de-sac neighbor, Scott and I have enjoyed our visits across the parking lot. We especially loved seeing Elaine watching, playing, or walking with her grandkids. Our hearts are saddened for your loss of this wonderful lady. We know she is in a better place and not in pain. So sorry to hear of Elaine's passing. We went through school together and had many fun times. She was always sweet and caring. Thinking of you and keeping you in my prayers and thoughts. I'm so sorry to hear about the passing of Elaine. I worked with her years ago at JC Penny. When I was shopping at the Jones store I always stopped by to say hello. She was such a beautiful lady inside and out. I always told her she never aged and never looked her age. The family is in my prayers. Erica and family...our deepest condolences to all of you. Your mom was one of the nicest people that I have ever met. Please tell your dad how sorry we are to hear the news.?? I got to be the flower girl when Elaine and my uncle got married. I was pretty young, and I remember thinking she looked like a princess!! And I felt really big being in their wedding. <3 I'm so sorry for all the hard things life threw her way. I'm glad there's only peace and joy for her now.